We all know that solar power is a great way to save on energy and minimize green house gases. However, this could cost a lot that an average household may find it hard to achieve. 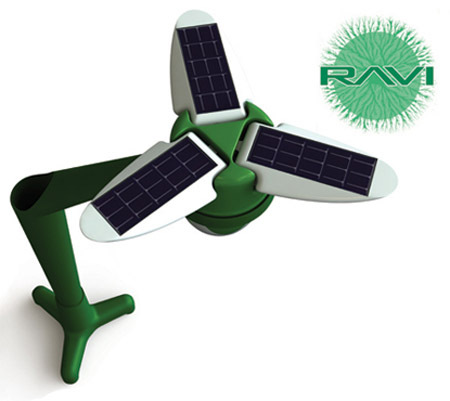 Well, not anymore today, because designer Leigh Ryan has created the Ravi portable solar generator that is designed for small electronic appliances. Designed like a flower, one will open up the petals to reveal the solar panels and start collecting energy and stores it in a removable battery packed. When the battery is fully charged the petals will close and users can now remove the battery pack and charge their electronic products via 2 USB outputs. With the presence of this device, it will be achievable already for the average people collect solar energy and minimize green house gases.